When it comes to insurance and protection, what do people think about and would they actually take out protection? The data from the Royal London’s second State of Protection Nation report reveals some interesting information about what people think and how many people take out insurance. The data from the report revealed that the top reason people gave for not choosing to take out protection, was because that they think the premiums are too expensive (69%). They also believe that they don’t need insurance and they won’t get ill, however, many people still want to protect their lifestyle and their loved ones from the financial impact of becoming severely ill or even dying. From this report, nearly half of advisers (49%) feel that the consumer inertia is one of the biggest hurdles to people buying protection, sending out a very clear message that education is essential to getting past the hurdles. The report also revealed that nearly half of the people surveyed (46%) in the research felt that they were unlikely to go on sick leave for three months or more. 44% of people thought that they were unlikely to have an accident that meant that they were unable to work and a third of people (34%) felt it was unlikely that they would become seriously ill with a severe health condition or illness. The data from the Pacific Life Re1 shows that the chance of being off work for two months or more before the age of 65 is 26% for males and 37% for females. Even if an illness was contracted, 43% of people felt that they could manage for a year if they were to become unable to work due to severe illness or injury. Just over half of people (55%) said that they would be able to manage for six months and 71% would be able to manage for three months. However, the reality is, only 2 in 5 people could be able to survive financially if they were unable to work for more than six months. Although there was only a small percentage of people saying that they had taken out income protection (5%), critical illness cover (3%), and life insurance (3%), and through their employer, most of the people felt that they did not need income protection (58%), critical illness cover (47%), and life insurance (34%). The advisers and the industry believe in the value of the products available, but the consumers are still reluctant to take out protection. 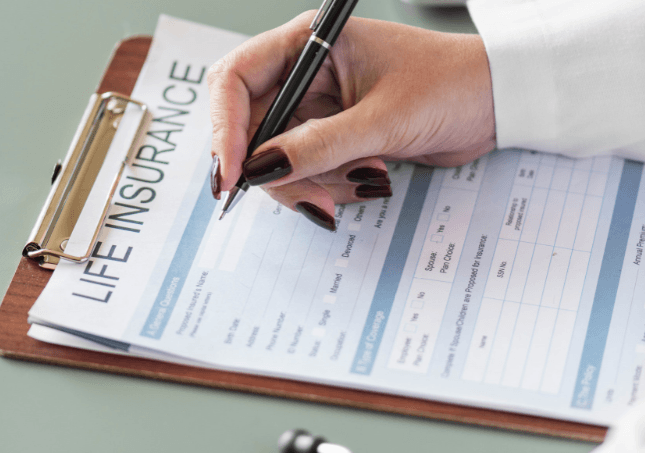 The data from the report also revealed that consumer inertia plays a part in people’s decision for choosing not to buy insurance, as 20% of full-time working people had recognised that they need income protection, but they don’t have a policy. Over a third of full-time workers (38%) feel that they do not need income protection, but just 8% of people said that they did not need cover because they have already taken out cover with their employer. Figures from the Royal London’s report shows that 58% of people with a mortgage have life cover in place if the homeowner dies, which leaves 42% of people unprotected. However, even more worryingly, there are 71% of people with a mortgage that does not have any income protection in place. The main reason why this may be concerning is that people are more likely to be diagnosed with a severe illness or receive an injury that prevents them from working than to die before the retirement age. Therefore, more people should consider taking out income protection or critical illness cover. A quarter of people (25%) do not own any income protection, critical illness cover, or life insurance and they said that they were confident that not having any form of cover was in line with their needs. Further to this, 27% of those in full-time employment (30 hours a week or more) said that they were confident. If you’re looking for mortgage insurance then please don’t hesitate to contact us or book an appointment. Please get in touch and we can arrange a suitable time to discuss further. We can arrange appointments at a place and time suitable to you, we can discuss your options over the phone or if you prefer email, then this is fine with us.